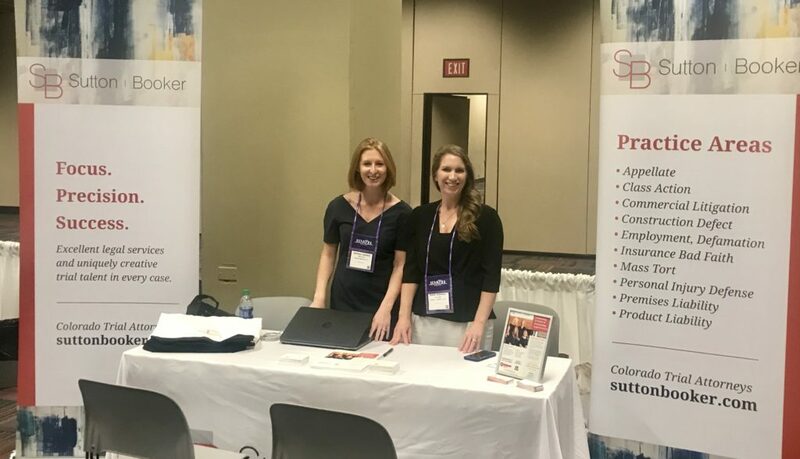 Katie Johnson and Ashley Larson attended the Annual Meeting for the National Association of Minority & Women Owned Law Firms (“NAMWOLF”) in Chicago on September 26-29. Katie and Ashley enjoyed meeting with Sutton Booker’s current and prospective clients. NAMWOLF’s vision is to “achieve equity in legal opportunity through minority and women owned law firms.” The firm looks forward to the 2019 NAMWOLF Business Meeting in New Orleans, Louisiana in February!